Find answers to various commonly asked questions here, if you have a question for us that isn’t answered here, contact us! Click/tap to see the answers. Where are your pickup locations? Where is Butcher’s Bites located? Along with many of your other local favorites, Butcher’s Bites, currently operates out of ACEnet’s shared use kitchen right here in Athens, OH. Visit our home page and follow the step by step ordering instructions. Please direct any remaining questions to info@butchersbites.com. Meals are packaged in a BPA free, microwave, and freezer safe container. Feel free to utilize a microwave for heating in provided container or transfer food to an oven safe dish for alternative heating methods. How long do I heat my meals? Meals are best consumed if heated in a microwave for a minimum of 1 minute and 30 seconds. What is the shelf life of my meals? Our meals are made fresh. Upon reception, our meals will keep for 5-7 days refrigerated. 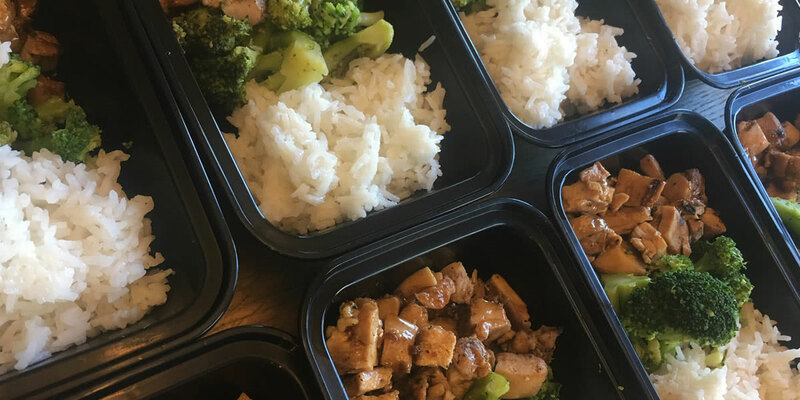 Our meals can also be frozen and remain good up to 3 weeks. What is the minimum number of meals I can order? Currently there is no set minimum order. What is the maximum number of meals I can order? Currently there is no maximum meal order. Does Butcher’s Bites offer custom meal orders? Currently there are no custom meal orders being taken at this time. Keep checking back with us for additions such as double meat and meat by the pound. Can you assist me with my macros? We have two clinical nutritionist on staff to help you achieve your goals. Please email countmymacros@butchersbites.com to set up a consultation. Butcher’s Bites operates out of a shared- use kitchen where peanuts, tree nuts, soy, milk, eggs and wheat are on site. While we take steps to minimize the risk of cross contamination, we cannot guarantee that any of our products are safe to consumer for people with peanut, tree nut, soy, milk, egg or wheat allergies. How do I pick-up my meals? There are several options in place to make for easy meal pick-up. Please refer to the list at the top of this page. Email info@butchersbites.com for any remaining questions. Does Butcher’s Bites offer delivery? Currently there is no delivery for Butcher’s Bites. Please continue to check back as delivery is a priority to our service. Ordered must be canceled before the Friday 12:00 PM order deadline. No cancellations will be granted after that time. Yes, some of our meals are gluten-free however; they are not made in a gluten free facility. There is a detailed ingredient list provided under each meal option. What if my meal is incomplete or damaged? Does Butcher’s Bites offer any vegan, vegetarian, or keto based meals? All of our meals currently represent a balanced macronutrient profile. Details can be found on each weekly menu and each individual meal. Please check back as our clinical nutritionist and chefs are working on vegan, vegetarian, and keto based options.